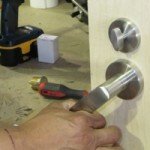 When you need locksmith assistance, you need somebody that knows what they’re doing. 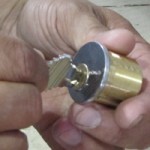 FC Locksmith truly is an expert in the field. If you’re looking for a Toronto locksmith, you will find that FC Locksmith not only offers a comprehensive service with all tasks carried out by fully-trained professional locksmiths, but also provides that service in an affordable, trustworthy and efficient manner. That means no bother for you. Residential: We provide your typical locksmith trades such as key cutting and lock repair as well as the likes of peephole installation. We are able to help those that find themselves locked out as well as provide assistance following burglaries, evictions, and the likes. Commercial: Toronto businesses can benefit from all of the above as well as commercial tasks such as rekeying, master key installation, alarm system installation and safe/cabinet opening. Most people are aware of the standard services offered by a locksmith but few are aware that many locksmiths provide a precautionary service designed to prevent the likes of break-ins. FC Locksmith can inspect your home and make suggestions as to how security can be improved. This includes the fitting of deluxe alarm systems and other security devices. All of our services are available to the people of Toronto on both a pre-arranged and emergency basis. Whenever and wherever you need locksmith assistance, be sure to call FC Locksmith first.